So I've been having some problems with the charger. I hook up the battery, start the charge and it says that the connection was either broken or interrupted. I really don't know what to do so I'm hoping for some help. is my battery. Any help would be appreciated. Just to make sure, are you plugging in the balance lead as well as the main plug? Paint is done! All set for Bot Blast! Also I think I have the charger problem fixed. If not we have a backup. FireArrow came third at Bot Blast, losing to Guildenstern before beating A Glorified Doorstop, Weed Wacker, TTI Wedge, Dust Pandemonium and a rematch against Guildenstern before losing to Ripto in the losers bracket final. I also took home the best driver award. We also won a beetleweight chassis off of eBay which I'm planning to buy new electronics for. Its name will be Nocturne. Next competition for FireArrow will hopefully be the November Pennbots event. Unfortunately we can't make Franklin due to a scheduling conflict. Work is beginning on the latest version of FireArrow for Pennbots later this month. The chassis is milled out and we're going to be making a new wedge out of 4130 steel and if we have time some thin UHMW wheelguards. Nocturne is still just a frame and weapon, but 90% of the parts are in (waiting for Robotmarketplace for the battery and mixer). Also registered for this year's Bot Blast, hoping to do better than third. Pennbots last weekend went very well. FireArrow went 4-0, sweeping the Antweight category, and Nocturne went 0-2 but won a grudge match againt Alex Horne's Dumb Post Moto Idea. We're currently planning to rebuild Nocturne from the ground up, and we're selling the old frame to a team in the UK. FireArrow came first at Bot Blast this year with a 6-1 record. Nocturne's rebuild wasn't finished in time. I hope to see lots of build progress!! 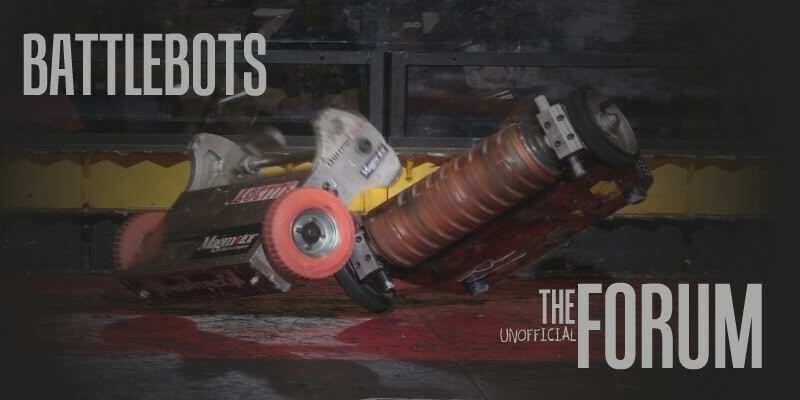 Battlebots :: Bots :: Show Off!